Thursday came too fast. I wanted the week to crawl by; alas, time marched on without a nod toward my wishes. It was definitely a morning for coffee at Second Cup, my new favorite coffee place. I struck up a conversation with a fellow coffee aficionado, and we spent the morning chatting and laughing. I learned that he reads Tarot cards, and that he just so happened to have his deck with him. Hey, opportunity knocked, so I accepted his invitation for a reading. A: Justice How people see you Someone who takes care of business, who can run things, sometimes too harshly (the sword). The one thing that struck me about the Devil and the Lover cards, is that they look as if they have minions. 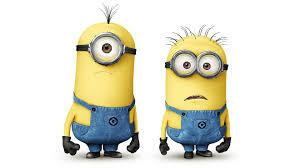 When I think of minions, I think of the movie Despicable Me. Heck, yeah, I totally dig those little dudes! They’re so cute. I think that the spread was informative, and the reader’s interpretation was insightful and interesting. I can’t help but want to sum it all up and glean a greater meaning, but that’s just wasn’t in the cards (that was punny). Instead, I took a look at how others see me, and as long I as come across as fair and non-judgmental, then I am satisfied that I’m where I need to be at this point in my life. 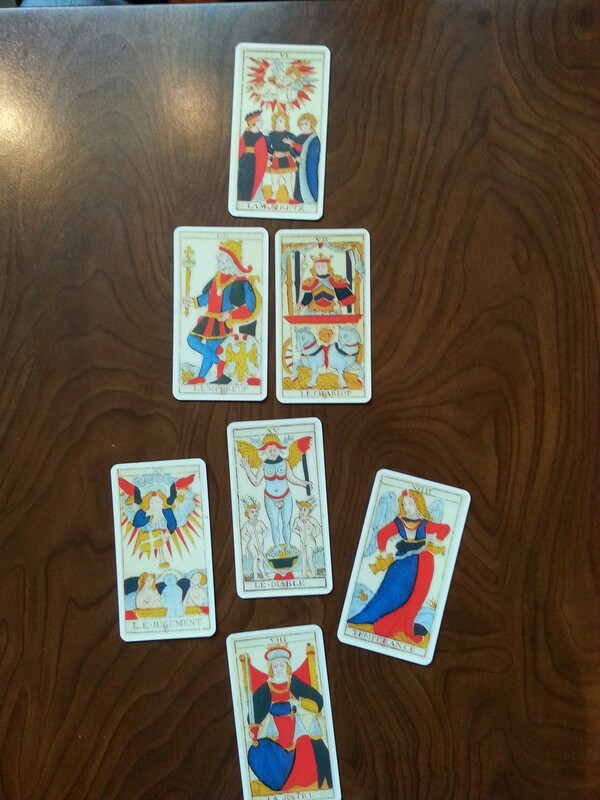 My new, Tarot reading, coffee drinking buddy and I parted ways with a promise to keep in touch. Want to know something cool? We truly are keeping in touch. We’ve tossed several emails back and forth between us. It’s nice when you make a new friend during vacation, and they become an integrated part of your real life. Despite my two soy lattes, my stomach was in great need of sustenance. I could have made breakfast, but I chose to hustle everyone out of bed and out into the general direction of food and shopping. Indeed, shopping day was upon us! I needed gifts to bring back to my munchkins and my hubby. There’s this trick I learned when I visited Hawaii many years ago. My island host taught me to shop for souvenirs at Longs drug store, because the prices were 1/3 less than the tourist stops. There isn’t a Longs in Montreal, (aren’t the out of business?) 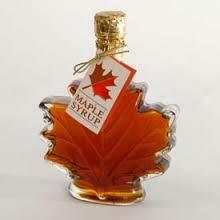 but there were drug stores of similar caliber, which did indeed carry things like Maple Syrup. Just for the fun of it, I did a price check at a nearby pharmacy, and compared that price to the local market, a touristy place, and the airport. You can guess that the airport was astronomical. Roughly, it was 6$ at the pharmacy, 8-9$ at the store and the tourist place, and 16$ at the airport — for the same size bottle! Looks like the trick my island host taught me for buying souvenirs works in other parts of the world, too. After the Price Is Right experiment, we walked a few blocks to Cacao 70. Oh, yet another place where the hot chocolate is decedent. I loved the look and feel of the place. I ordered a fruit, yogurt, and granola bowl. I was expecting something appetizing, yet I was served a mast erpiece. They drizzled chocolate on top! Seriously yummy. From the tart yogurt mixed with sweet honey, to the fresh sweet-tart berries and just ripe bananas, to the crunch of the granola, each bite evoked a new taste and texture sensation. After enjoying a healthy and satisfying breakfast, it was off to the mall. Yup, I wanted to go malling – I had gifts for kids to buy. There’s no way I could go home empty handed. I had such fun in the t-shirt shop. The owner, a sweet man of Asian descent, helped me find the styles I liked in the sizes I needed. He had a great laugh and made sure I was well taken care of. I don’t know exactly why, but I was jonesing to look around in Canadian Tire. So we did. It’s kinda, maybe, sorta like Sears, but not exactly. There’s only so much shopping one can do before [this] one gets shopped out. Time to head back home and do that packing thing. In no time, I was packed and ready for tomorrow’s trip back to San Diego. If it were’t for the magnetic pull of my family, I could easily have stayed in vacation bliss for a decade. Maybe longer.